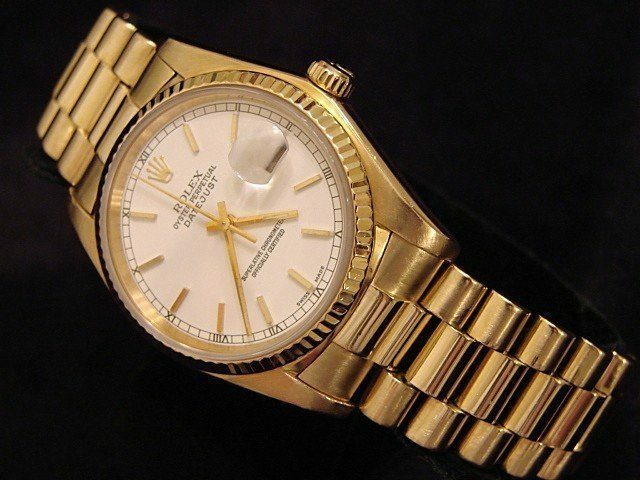 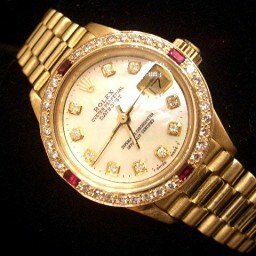 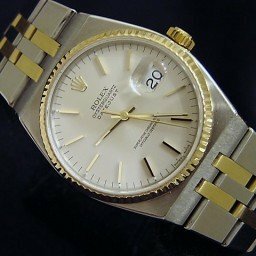 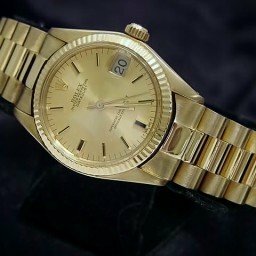 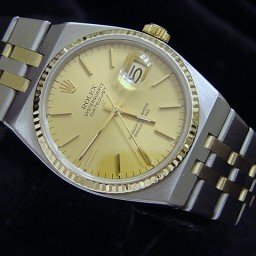 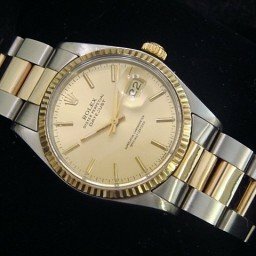 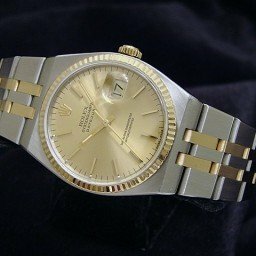 BeckerTime is proud to offer this impressive Men’s 36mm Genuine Rolex Solid 18K Yellow Gold Datejust Watch ref #16018 with a White Dial. 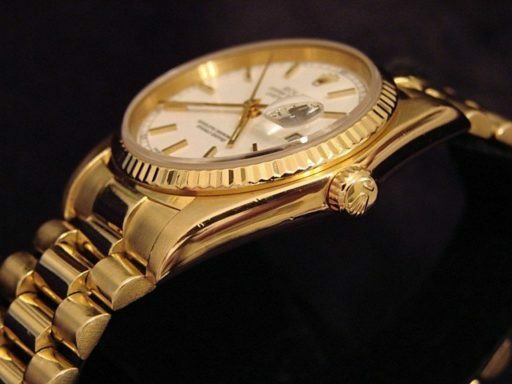 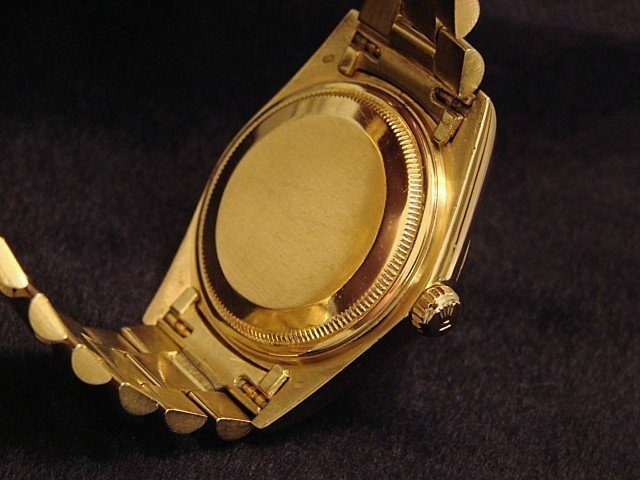 This is the desired QUICKSET MODEL that has been fitted with a solid 18K Gold custom aftermarket presidential style band. 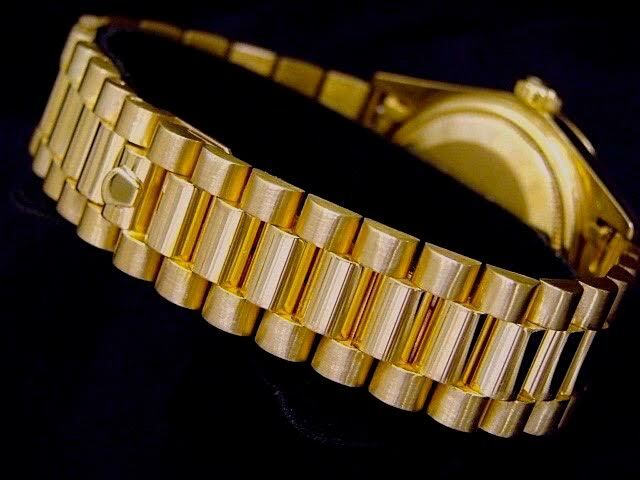 Band Solid 18k yellow gold president style band with plain (No Rolex markings) hidden clasp. 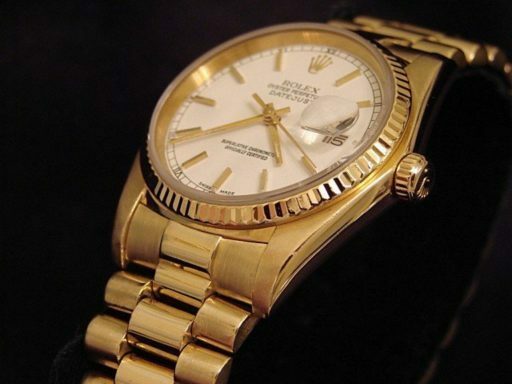 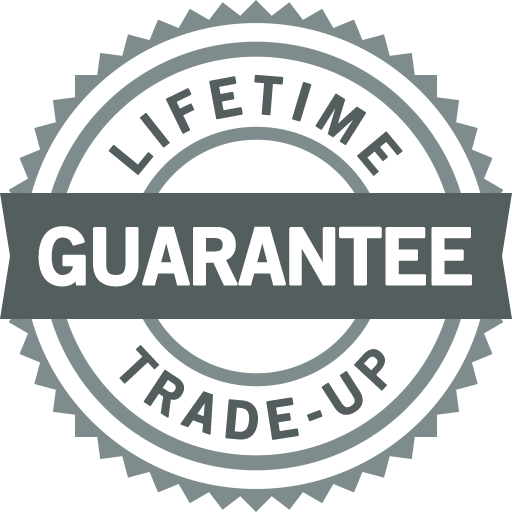 The band is not made by Rolex as it is a custom Italian made aftermarket band of the highest quality.